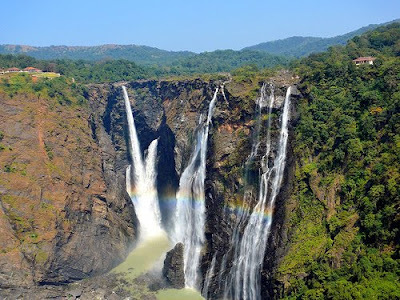 Jungle Lodges and Resorts a responsible wildlife and eco tourism company owned by Government of Karnataka has taken up development of its properties in the nearby surrounding area of the world popular Jog Falls. World Heritage Site Hampi and Belgaum to allure large number of tourists inflow in the state. Mr N.D. Tiwari, Managing Director of Jungle Lodges and Resorts said these projects involve the combined investment of Rs 15 crore and also includes construction of lodges and resorts for the accommodation of the tourists. While the project in Hampi will be developed near Kamalapur, the project of Jog Fall will come in vicinity. Tourists visiting Belgaum will be taken to the new facility in Khanapur. The work on these proposals had been stated already and it would take at least a year to complete it. The Jungle Lodges and Resorts retain about 30 properities now and there was no plan to acquire new prosperities for development. Last year JLR dis business of over Rs 25 crore of which the profit was 4 crore.